Wine lovers stick with their preferred variety for longer than many stay with their partners, research suggests. Pinot Grigio is the top choice for British drinkers, followed by Merlot and Chardonnay. 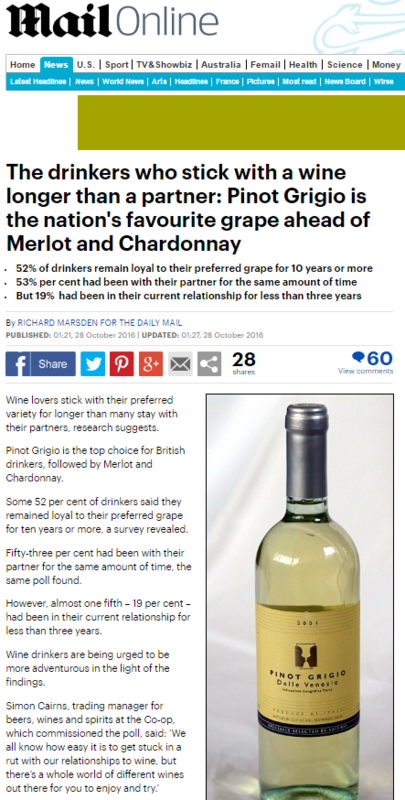 Some 52 per cent of drinkers said they remained loyal to their preferred grape for ten years or more, a survey revealed. With clearly such importance placed on the type of wine we’re drinking, thank heavens the good people at Co-op are willing to pay PR companies to come up with newsy-sounding headlines to help raise awareness of this very important issue, as well as where we can pick up our favourite plonk on the cheap. This entry was posted in Co-Op and tagged Co-Op, daily mail, Richard Marsden, Simon Cairns on November 10, 2016 by Michael Marshall. People are turning away from churches and tears for family funerals in favour of celebrations at home, in the park, on the beach – or even the office. One in two funeral directors say that they have been asked to arrange a ‘destination funeral’ rather than a church or crematorium. 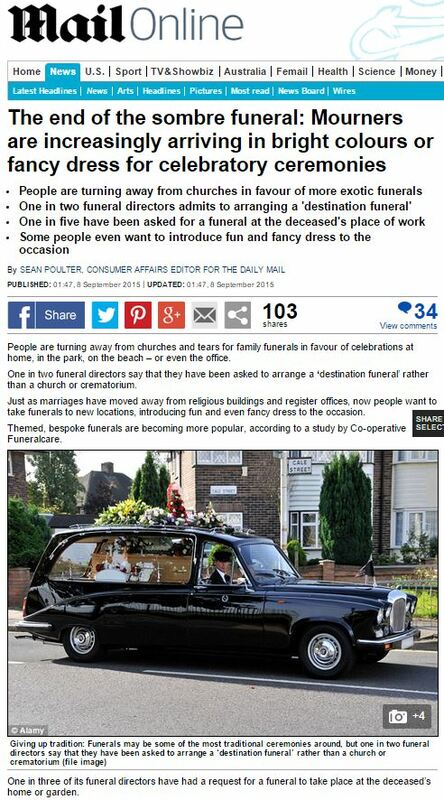 Just as marriages have moved away from religious buildings and register offices, now people want to take funerals to new locations, introducing fun and even fancy dress to the occasion. Themed, bespoke funerals are becoming more popular, according to a study by Co-operative Funeralcare. Sam Kershaw, Operations Director for The Co-operative Funeralcare said: ‘We are seeing is a culture shift in the way that we deal with loss. It’s becoming ever more common to hear people refer to funerals as a celebration of life. 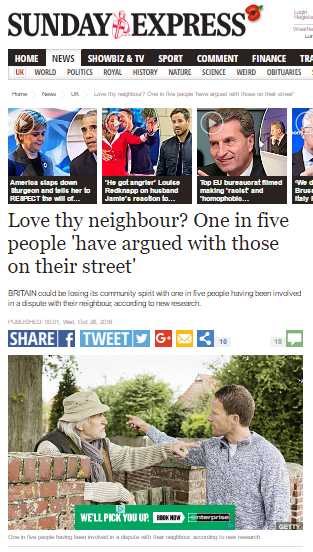 This entry was posted in Co-Op and tagged Brett Houghton, Co-Op, daily mail, Sam Kershaw, Sean Poulter on October 14, 2015 by Michael Marshall.